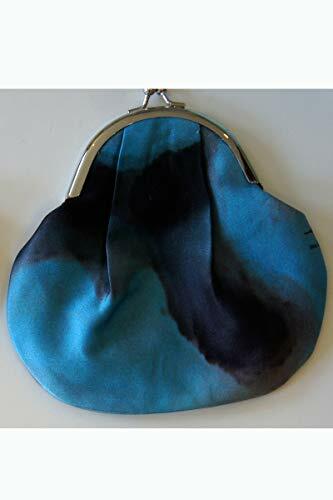 Elegant twist on a classic coin purse. Brass or stainless metal closure, with luxurious silk satin lining and choice of Louis Jane Art textiles in pure silk; this doubles as an evening clutch for the essentials: smartphone, credit cards, and lipstick. Terrific gift or treat yourself. Variation in printing & color are hallmarks of digital printing with natural fiber-reactive dyes. Due to the nature of the materials, no two pieces will be exactly alike. Variation in printing & color are hallmarks of digital printing with natural fiber-reactive dyes. Due to the nature of the materials, no two pieces will be exactly alike.